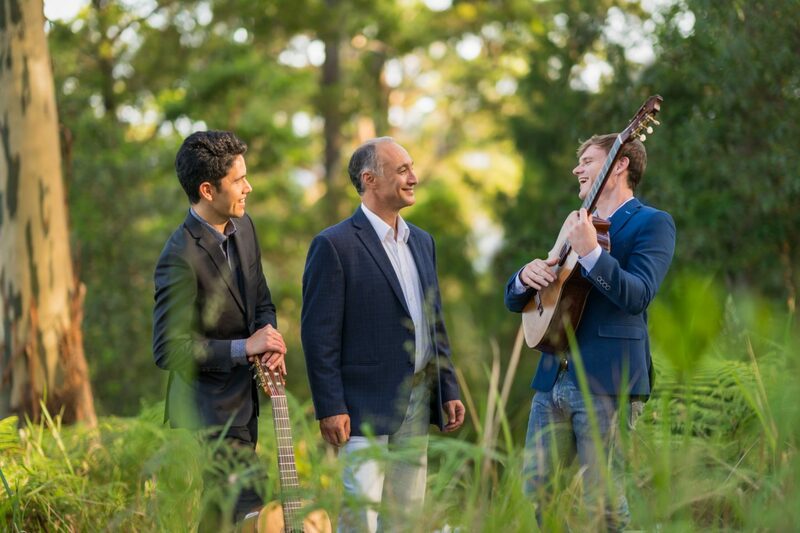 In a unique and exciting collaboration, Australia’s premier baritone José Carbó joins forces with spectacular emerging classical guitarists Andrew Blanch and Ariel Nurhadi to form The José Carbó Trio. 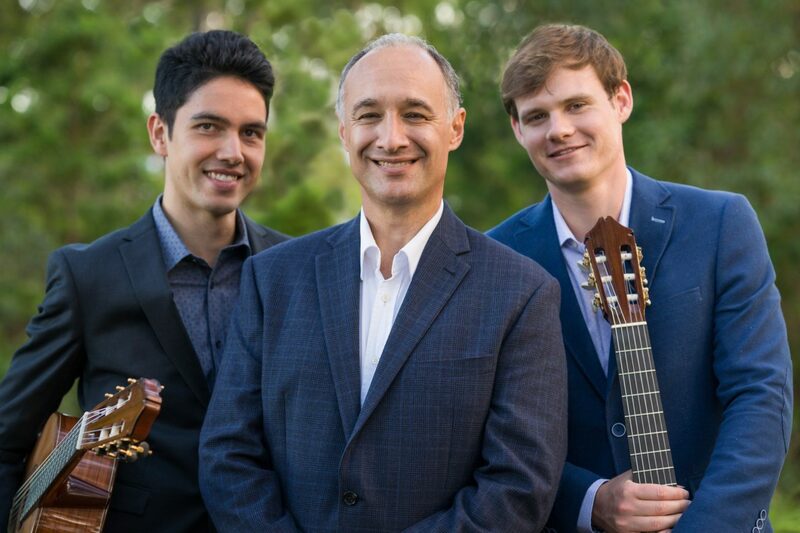 Their debut recital L’Heure Exquise (The Exquisite Hour), named after Reynaldo Hahn’s masterpiece, features music by Schubert, Faure, Debussy, Verdi and more, reimagined by the trio for the colourful and original musical setting of voice and two guitars. The trio first appeared together at Canberra’s 2015 Voices in the Forest, after which Carbó invited the guitarists to collaborate on classical works long close to his heart that, for the most part, had never been heard with a guitar accompaniment. The trio will record their recital in the studio in December 2018, after the completion of their 2018 Australian tour. José Carbó is one of the most exciting operatic artists of his generation. José’s debut album, My Latin Heart, released by ABC Classics, was nominated for the ARIA Classical Record of the year and debuted at No. 1 on the Limelight Magazine Classical Music charts. Andrew Blanch is recognised as one of Australia’s leading young classical guitarists. His debut CD Spanish Guitar Music “secured this young musician’s place amongst a glittering Australian classical guitar constellation” (Limelight Magazine). Ariel Nurhadi is another one of Australia’s leading young classical guitarists. Your donation will contribute towards turning this original and daring classical recital of world premiere arrangements for voice and two guitars into an important recording of a unique and exciting Australian trio. Your donation will go towards the recording, mixing, marketing and distribution costs of producing the debut recording of The José Carbó Trio. 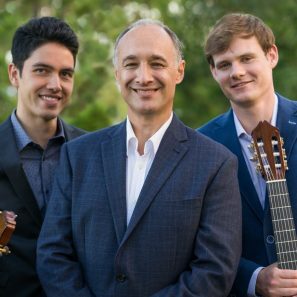 In a unique and exciting collaboration, Australia’s premier baritone José Carbó joins forces with spectacular emerging classical guitarists Andrew Blanch and Ariel Nurhadi to form The José Carbó Trio. The trio first appeared together at Canberra’s 2015 Voices in the Forest, after which Carbó invited the guitarists to collaborate on classical works long close to his heart that, for the most part, had never been heard with a guitar accompaniment. You're looking at an ACF Boost campaign! This campaign will receive a matched funding 'boost' of $2,000 from Creative Partnerships Australia.